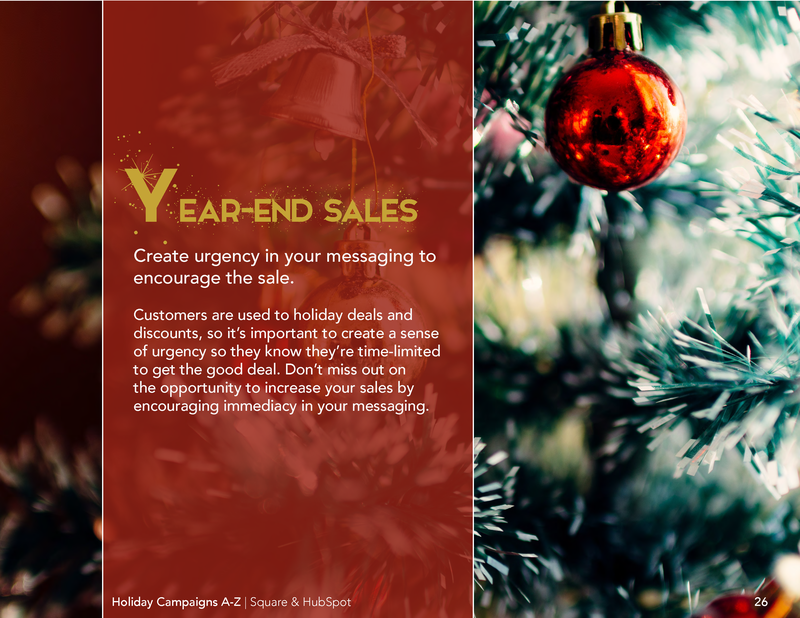 Holiday marketing doesn't have to be hard - grow your business at the year's end! 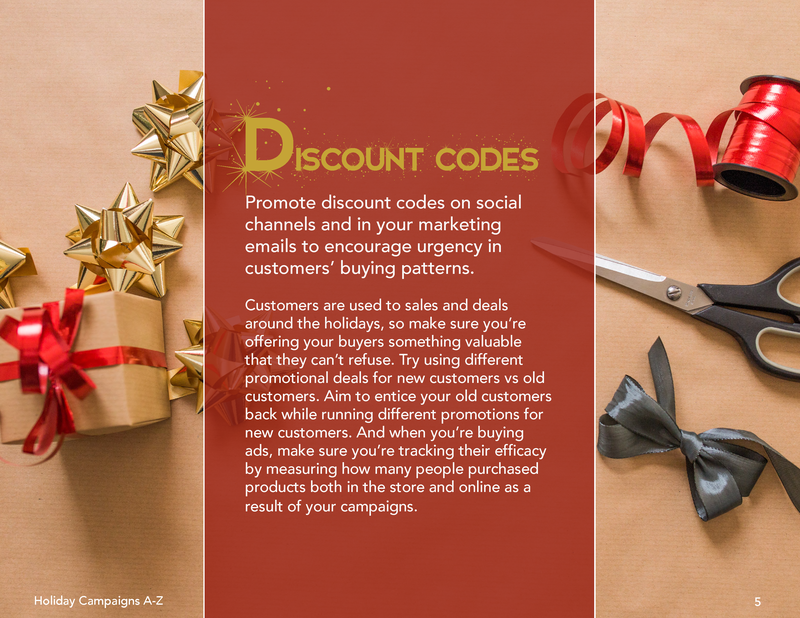 Small Business Saturday, Black Friday, Cyber Monday and general holiday shopping online will increase up to 19% from last year, meaning there's a huge opportunity to try and cut through that noise with exceptional marketing that will attract, convert, close and delight prospects and customers. 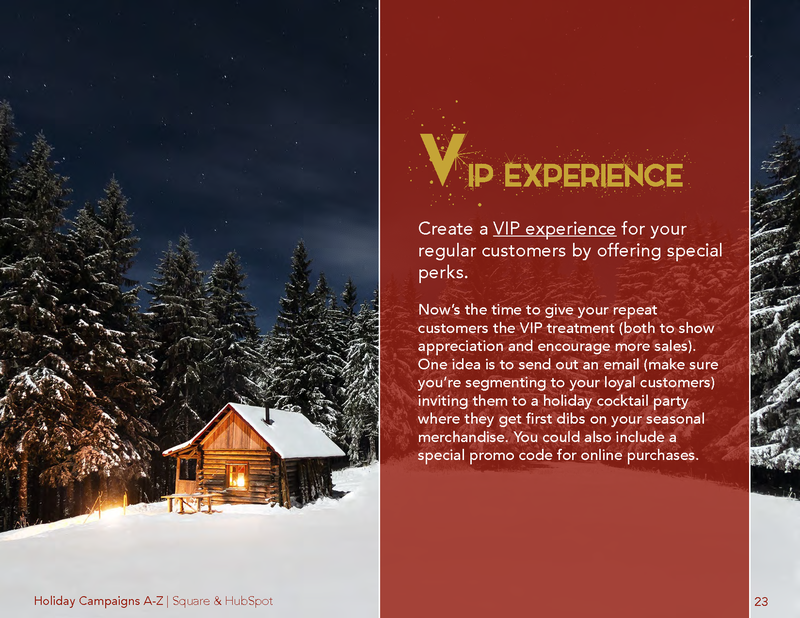 HubSpot and Square have teamed up to bring you 26 holiday marketing ideas for your business, spanning each letter of the alphabet! 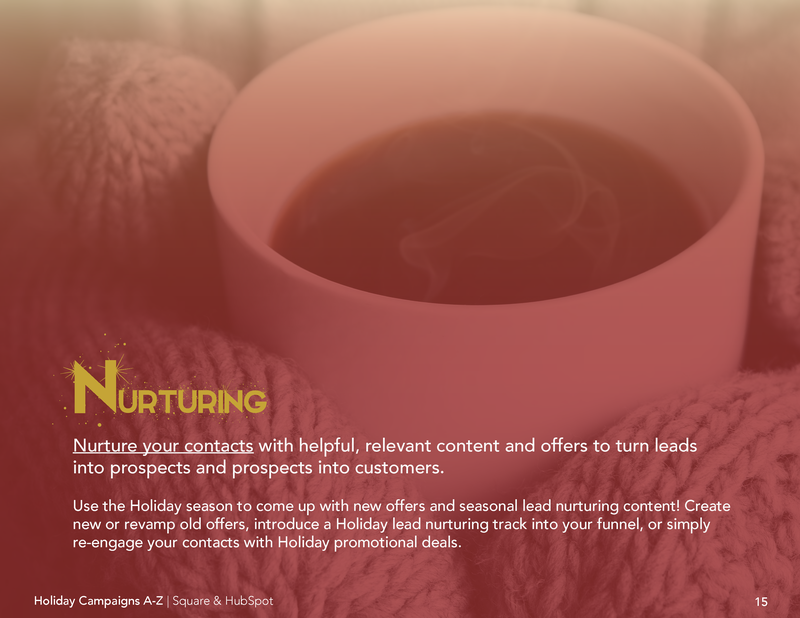 From video optimization on social, to MQL attainment and nurturing campaigns, this list will be a handy go-to guide when determining what campaigns will help your business cut through the noise and grow over the holiday season. 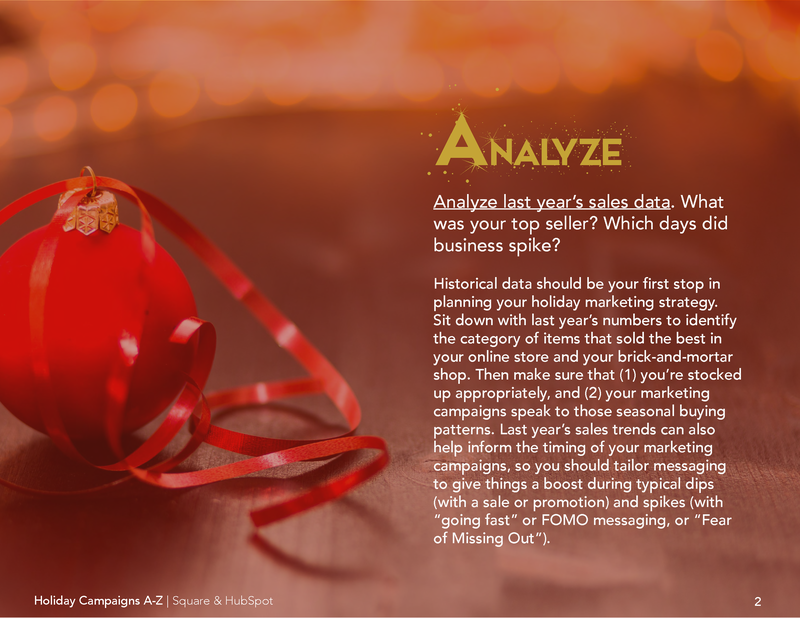 Much more about smart marketing over the holidays and beyond! By supplying your contact information, you authorize HubSpot and/or Square to contact you with further information. 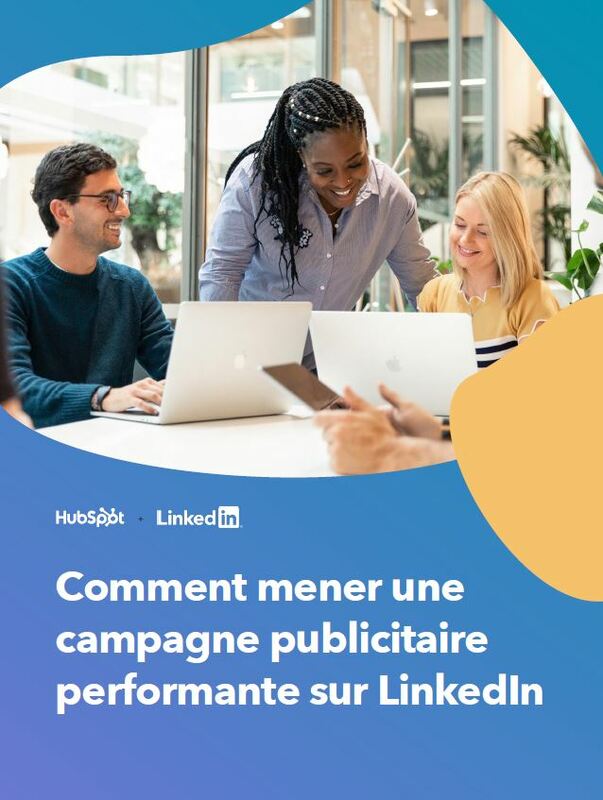 You further authorize HubSpot to pass your information to Square for these purposes.